At 7 you will find a welcoming and relaxed atmosphere, where you can enjoy a choice of delicious hot and cold foods to eat in or take away. Take the worry out of catering and order our mouth-watering, freshly made Buffet Platters. All platters are beautifully wrapped to stay fresh and look fantastic, ready for enjoying! 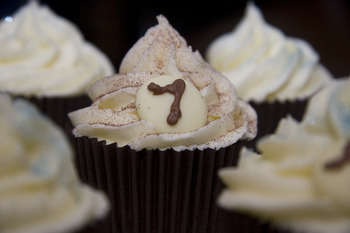 You can also order hand-made Cupcakes or Celebration Cakes to make your event extra special. We are an ideal venue for business meetings/breakfasts. We can provide refreshments to suit your needs, including full breakfasts to bacon baps to sandwiches and snacks. Tables may be booked in advance. Please phone 01603-666604 for further details of choices available and to order.